Set in Texas and the suburbs of England, All That Follows is a novel in which tender, unheroic moments triumph over the more strident and aggressive facets of our age. British jazzman Leonard Lessing has spent a memorable yet unsuccessful few days in Austin, Texas, trying to seduce a woman he fancied. During his stay, he became caught up in her messy life, which included a new lover, a charismatic but carelessly violent man named Maxie. Eighteen years later, Maxie enters Leonard's life again, but this time in England, where he is armed and holding hostages. Leonard must decide whether to sit silently by as the standoff unfolds or find the courage to go to the crime scene where he could potentially save lives, as only someone who knows Maxie can. The lives of two mothers and two daughtersall strikingly independent and spiritedhang in the balance. All That Follows provides moving and surprising insights into the conflict between our private and public lives and redefines heroism in this new century. It is a masterful work from one of England's brightest literary lights. The information about All That Follows shown above was first featured in "The BookBrowse Review" - BookBrowse's online-magazine that keeps our members abreast of notable and high-profile books publishing in the coming weeks. In most cases, the reviews are necessarily limited to those that were available to us ahead of publication. If you are the publisher or author of this book and feel that the reviews shown do not properly reflect the range of media opinion now available, please send us a message with the mainstream media reviews that you would like to see added. 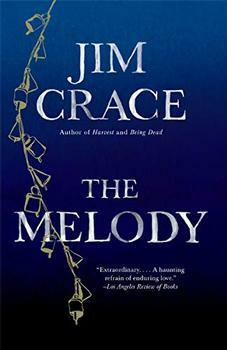 Jim Crace is the author of many novels including Continent, The Gift of Stones, Arcadia, Signals of Distress, Quarantine (1998 Whitbread Novel of the Year; shortlisted for the Booker Prize), Being Dead (2001 National Book Critics Circle Award), The Devils Larder, Six, The Pesthouse, All That Follows and Harvest. His novels have been translated into twenty-six languages. He was elected to the Royal Society of Literature in 1999; he has also received the E.M. Forster Award, and the Guardian Fiction Prize. He lives in Birmingham, England where he is a keen amateur birdwatcher and also enjoys live music at small venues.